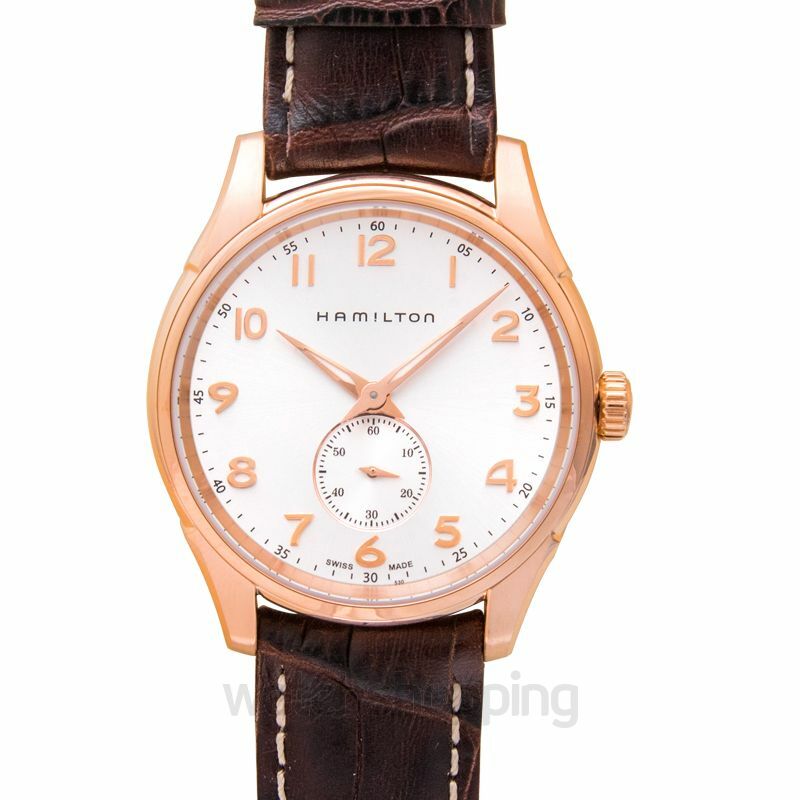 The Hamilton Jazzmaster Thin line is a collection of exclusive watches with a thinner, sleeker case making he watches extremely elegant. The Jazzmaster Thinline H38441553 is a distinctive model, mostly because of its simple white dial and rose-gold-tone hands and matching bezel. 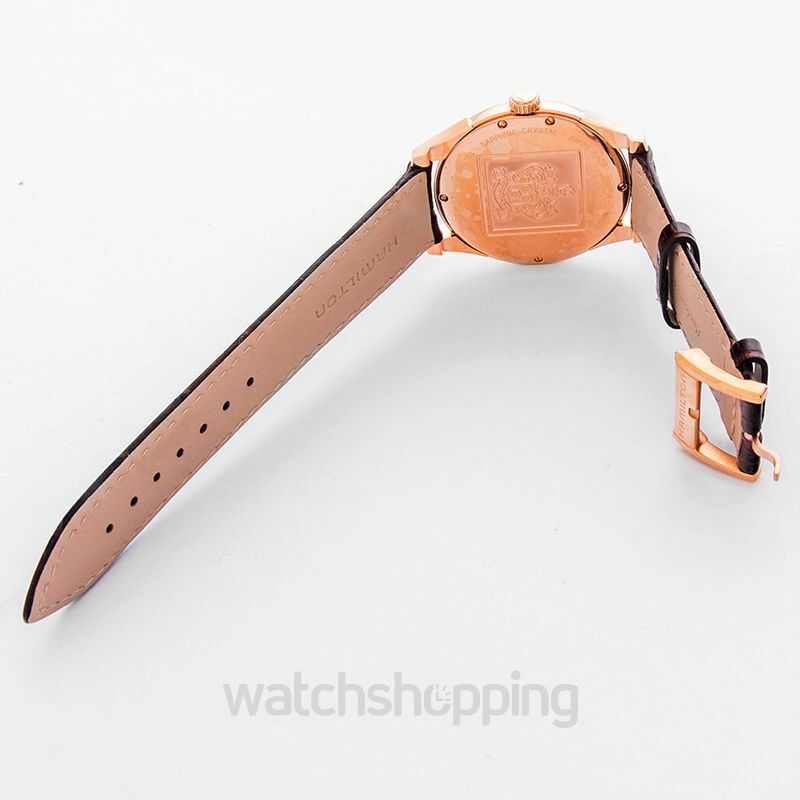 It features a stainless steel 40 mm case that houses the Tonneau-shaped quartz movement. 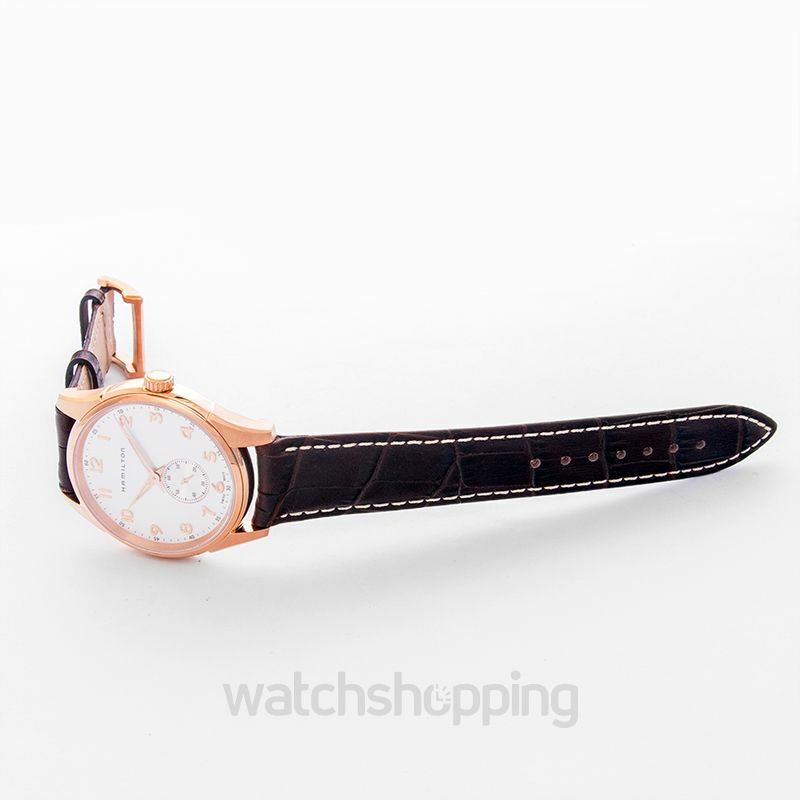 Its easy to wear, elegant brown leather strap is yet another feature that is very attractive and notable. 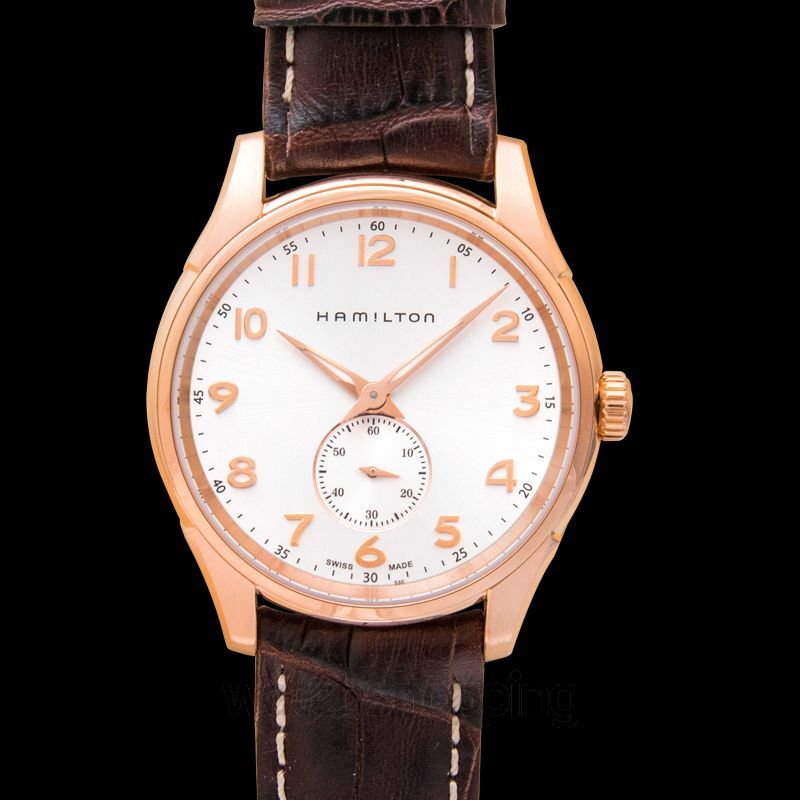 Wear it comfortably around your wrist, and renew your style statement with this Hamilton masterpiece.